inspired by kyrie, here, i've been gluing in a journal. 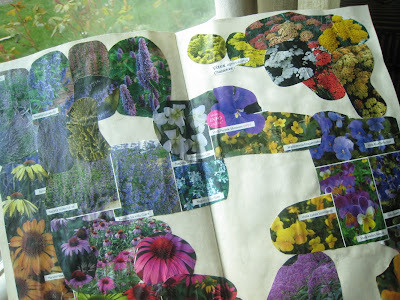 most source material = flower catalog. here's my herb garden visioning. look at all that catnip and echinacea! 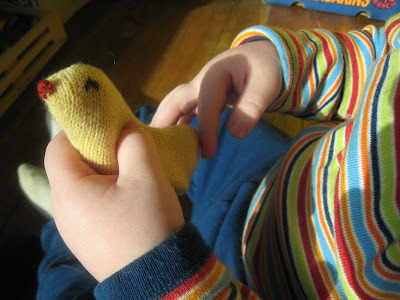 inspirational exchange with erin, here, prompted these little sweater chicks. this one was quickly invited to colden's tea party before it was decided that he needed some wings. i was probably channeling that sweetie bird too. 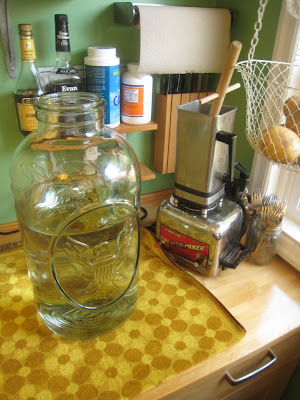 excited to brew up some ginger water kefir! i finally did clean out the refrigerator, so there is room for filling it up again! with wings and in flight! 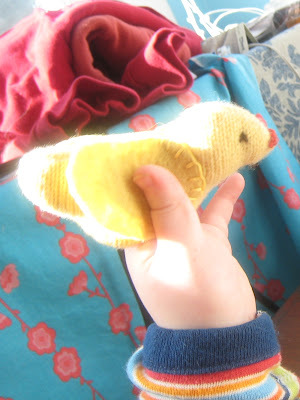 i was going to stuff and sew up this little chick, but he turned into a finger puppet instead! who knew? i simply traced a cut out a drawing, and then sewed it up on my machine leaving a little hole at the bottom to turn it right side out. i stitched around the raw edge at the finger hole with my embroidery thread after i sewed on the wings. let me know if you want more specifics, or a look at the pattern i drew. if you're feeling pattern-shy (i can relate! ), you could also try tracing an image from a book or web search. what works do you have in progress? and (if you can remember your inspiration),what were they inspired by? p.s. i forgot to mention, diane is hosting a free class on blogging value, pop in today if you can!